The Dutch village of Elsloo had a youth centre called Utopia, and in the 1970's Kayak played there twice. The second time was in 1979, and the first time was in december 1973. This great website dedicated to Utopia shows some official papers from 1973. The band (or rather: their manager Frits) gets paid the amount of 1250 Dutch guilders. In return the 'orchestra' would play for a maximum of 3x45 minutes on 14 december. For reasons unknown, the gig was postponed until 28 december though. Kayak didn't actually play at the Utopia, but at the Maasland Centre. But the concert was organised by Utopia. The fee of 1250 guilders doesn't sound like a bad one. Kayak was still a rather new band. And just to compare: Al Stewart received 600 guilders from Utopia, and so did Camel in 1976. But Shakin' Stevens and the Sunsets were granted 1350 in 1973! On the Internet, I found this picture of Ton Scherpenzeel, playing double bass in the Orchestra of the Dutch Broadcasting Services, probably around 1969??? 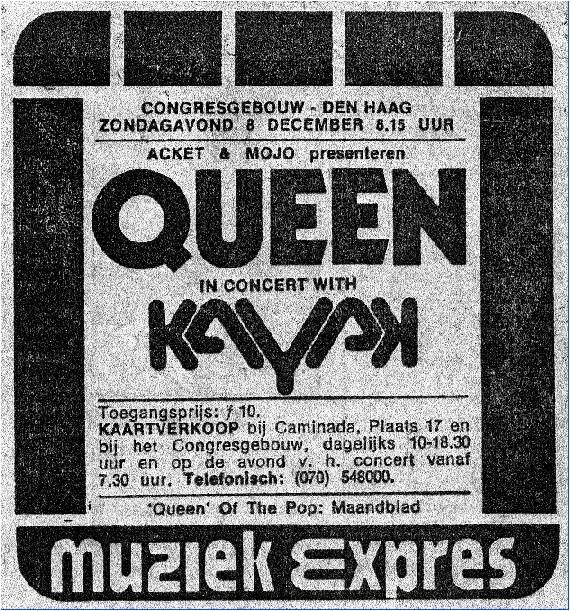 In july 2007, I posted a little story about the Queen/Kayak concert in The Hague, december 1974. 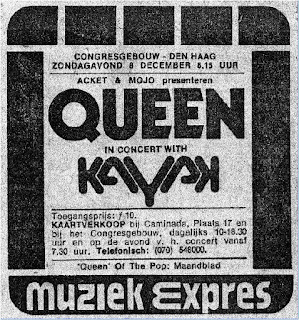 The Dutch Queen Fan Club will pay extra attention to that concert at the Fanclub Meeting tomorrow. 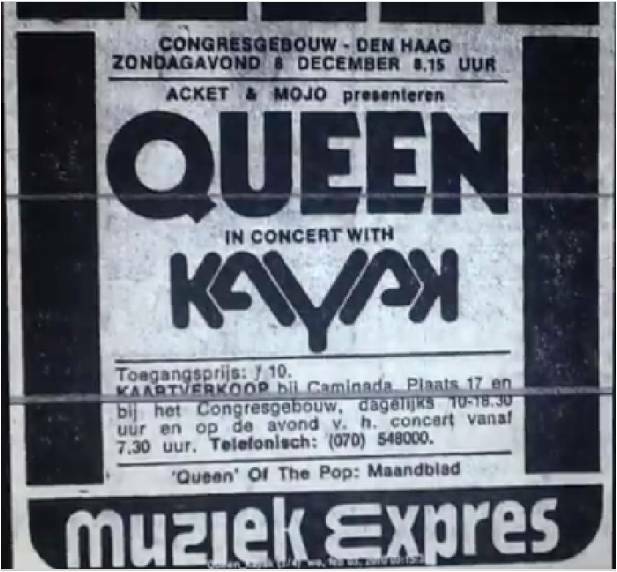 The reason for that is that a 45-minute recording of the Queen concert was recently discovered.